Every smartphone manufacturing company is trying fo develop a gaming smartphone. This means the device will have have very powerful processor with its main aim is to improve performance for graphics intensive games. Every smartphone manufacturing company is trying fo develop a gaming smartphone. This means the device will have have very powerful processor with its main aim is to improve performance for graphics intensive games. Recently we have seen devices such as Honor Play Asus ROG phone and Xiaomi's Black Shark. Now there is a new device called the Red Magic Phone. 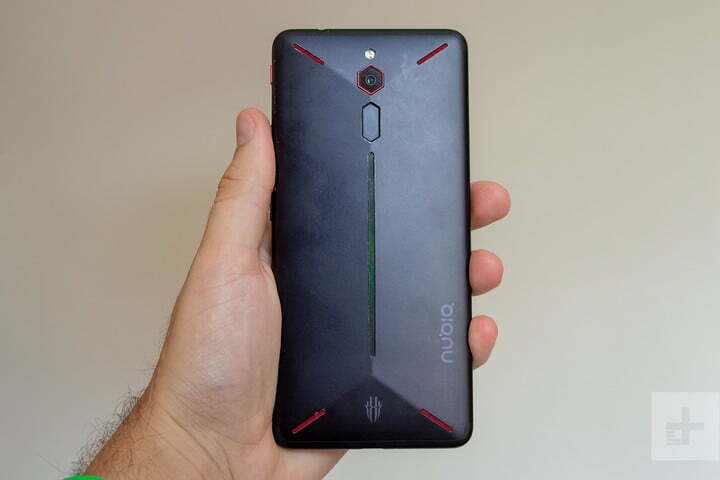 This is a phone from Nubia. It has a really impressive cooling system a game boost mode. Its price is really affordable and has an RGB LED light strip. When you place this device on a flat surface you will notice it's not stable. Its rocks from side to side. This is because Red Magic has a different unique design. The back of this phone isn't flat. The top and bottom edges slope downwards forming a slope which in the end forms a prism shape. 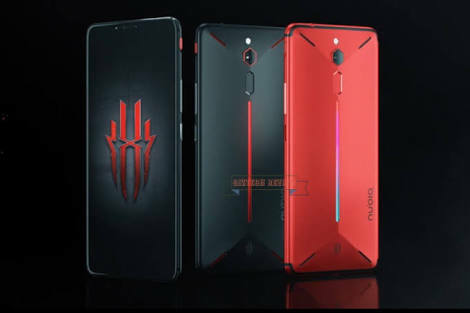 Red Magic phone has an impressive look. It has a hexagonal shaped camera. The phone is large in size but easy to hold. The phone can get slippery but that ain't a big issue. It may be hard to use this phone on a flat surface. The prism back shape makes it rock a lot when placed down. The metal on this phone is more durable than the glass on this phone. The phone can easily get scratched while in the pocket by keys or other objects. Red Magic Phone has a 6 inch display screen and slim bezels surrounding the phone. The bezels on this phone aren't the slimmest like on some other devices. The power and volume button on this phone is on the right hand side. You will find an extra button which its function is to control the gameboost setting. At the bottom of the phone you will find the USB type C Port. Red Magic Phone has a headphone jack at the top. The strip on the back can display 16 million colors. Most of the time it will light up when you are playing games or while charging the device. Most of the time you won't see the strip because it's at thr back. If you look closely at the back you will stop 4 red slashes. The slashes aren't for aesthetic purposes. The top two are exhaust ports (cooling system) of the phone. The cooling system is quite good. If you play some intensive games the phone will stay cool without getting hot. Red Magic phones has a six inch LTPS IPS LCD Display screen. It has a resolution of 2,160 x1,080 and an aspect ration of 18:9. LTPS means Low temperature polycrystalline silicon. This is a type of LCD Display that can run different cooler colors. The screen is not special. It doesn't have an AMOLED screen. The Razor phone has a better screen. The auto brightness feature on this phone doesn't work well. During the day we can see the screen well. But if you try to open the phone at night you may end up getting blind. The screen has some flaws. The screen is colorful, bright and clear. The company could have tried better when it came to the display department. A Qualcomm Snapdragon 835 processor powers Red Machine phone. Red Machine comes with a 6GB RAM and a storage of 64GB. It also has another model with 8GB RAM and a storage of 128GB. Red Machine has no microSD slot. If you use this phone lightly it can last two days of charge. The phone would have used a Snapdragon 845 chip. The 835 chip was being used last year. A gaming phone should have the best processor if it wants to compete with the best gadgets out here. Red Phone Machine messed up by choosing the 835 chip processor. The snapdragon that they have used is best for battery consumption and balancing power. The performance on this phone is really smooth, the apps really open fast and there is no irrelevant slowdown. The Android 8.1 Oreo on this phone is really good. It has no bloatware and comes with the usual Google apps. The device has some extra features such as Gameboost mode and the RGB light. The Red Machine Phone is made for gamers and i tried playing some games just to test it. I played Dragonball Legends, Tekken and Asphalt Legends 9. This phone didn't disappoint. It handled all the games with ease and had a good performance. There are some few issues but in general the performance is good. Gamers will love this phone. The Red Machine Phone comes with a Bluetooth 5.0 but no NFC. That means no contactless payment on Google Pay. This is really disappointing since other devices have NFC. You can activate this feature by just pressing the Gameboost button. Its purpose is too boost the performance of the game when playing. It blocks the notifications and increases the loading time. The gameboost mode really helps when playing games. The camera department on this phone is the weakest. It has a singles lens. Red Machine Phone comes with a 24 megapixel lens and an aperture of f/1.7. In good lighting the phone performances really well giving good colored photos. This phone has a bokeh mode which adds blurry effect to pics. On this phone there is no Optical Image Stabilization (OIS) and this really affects the camera in a negative way. Its hard to take a perfect pic when the subject is moving. When you take pics in low light you will be really disappointed. The photos appear blurry. The camera app responds well and is fast. Red Machine Phone has a front facing camera of 8 megapixel. The camera takes some decent pics. The beauty mode is too much thus ends up looking plastic. You can record videos in 4K. The Red Machine Phone has a huge battery of 3,800mAh. This means your gaming timw will not be interrupted by flat battery. With light use like chatting, listening to music, watching videos on YouTube this phone can last for upto to two days with ease. The battery performance is really impressive. There is no wireless charging in this phone but this phone supports Quick Charging 3.0. Charging from 13 percent to 100 percent will take less than 90 mins. The Red Machine Phone has a weak phone but an excellent performance a very strong powerful, loud speakers and a sleek design. OnePlus 6 is a great alternative. It comes with a Qualcomm snapdragon 845, an amazing design and excellent performance. The Red Machine Phone is quite a good phone with good specs. Something gamer will love.